Look at a functional kitchen that also evokes tranquility and serenity. 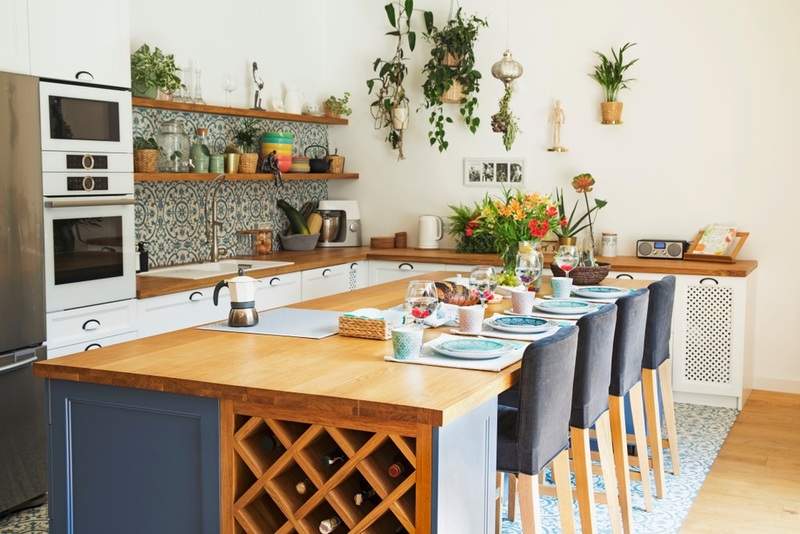 Many Australians find Mediterranean kitchen designs attractive. What’s not to love? It’s beautiful, sunny, and relaxing. 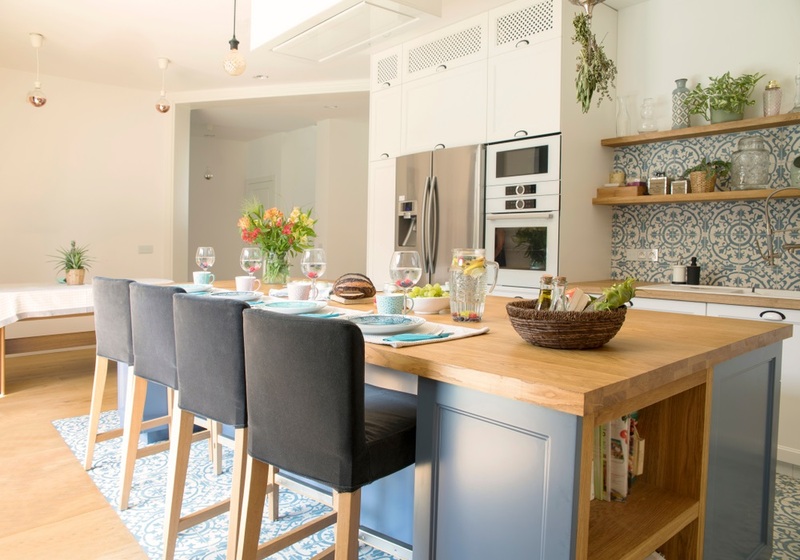 We also like the bright coastal interiors which make our kitchens look bigger. 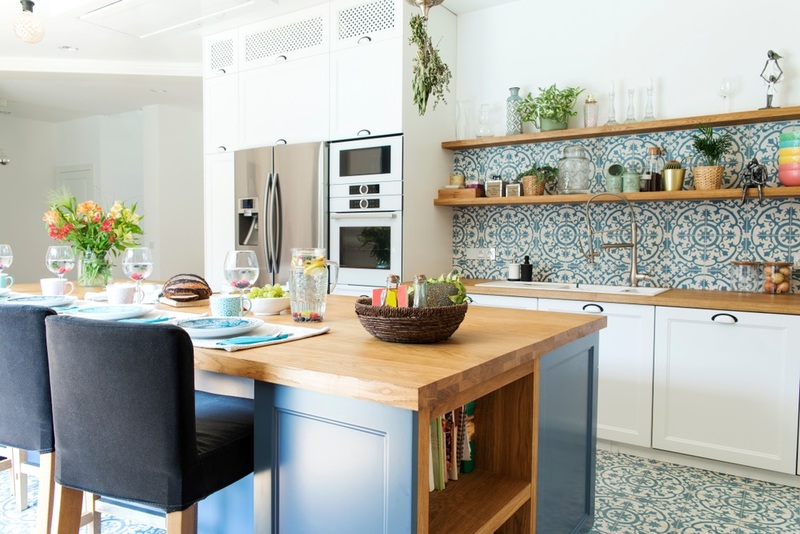 To inspire you more to embrace this style, we’ll show you a Mediterranean style kitchen that’s fresh and laid-back. The homeowners asked the designers to keep it open, casual, and warm but not too rustic. 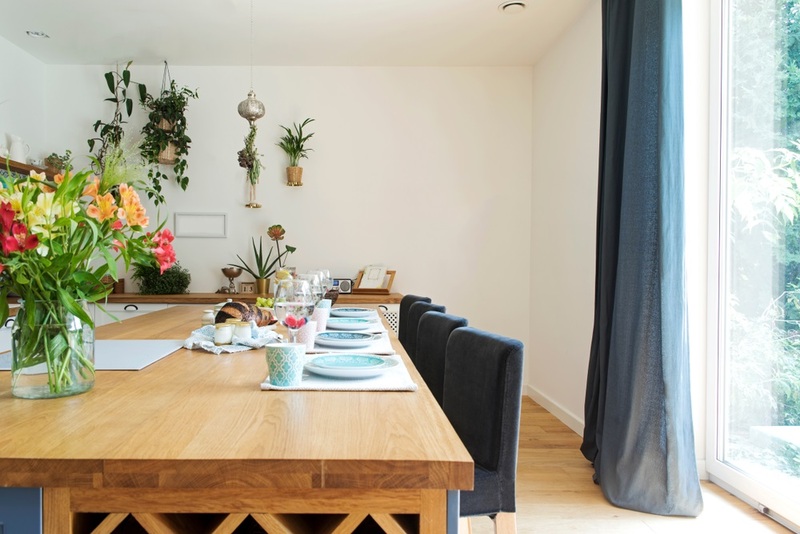 They also wanted a kitchen that looks lovely in the morning, because their family likes to eat breakfast together. Not all U-shape or horseshoe kitchens have three walls of cabinets and appliances. An L-shape kitchen with an island, like this Aussie kitchen, is also considered as a one. The island serves as the third wall. The homeowners admire this layout because it allows more room for foot traffic and workflow. There is space for more people in the kitchen, which makes it perfect for entertaining guests. The guests may help in the kitchen too! READ: What’s the Right Kitchen Layout for You? With an extra wide bench, there’s a lot of things that you can do on the kitchen island. The homeowners love its multitasking breakfast bar where they prepare food, eat, work, and hang out. This kitchen island also gives a decent amount of storage. 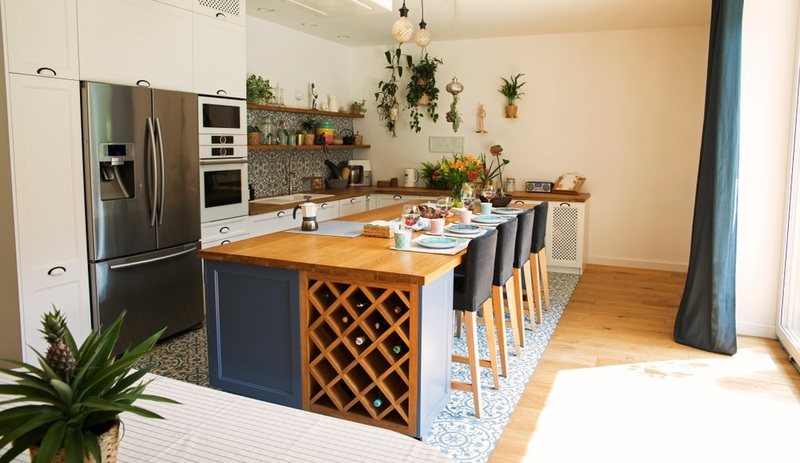 There are a few cabinets for pots and pans, shelves for cookbooks, and wine rack for a few bottles of grape juice. Instead of cupboards, open shelves provide storage above the counters. This opens the kitchen and gives homeowners a way to display decorative kitchenware. Losing the upper cabinets is okay since there are lots of drawers and there is extra storage in the custom cabinet integrated with appliances. There’s a large window in this area which illuminates the kitchen during the day and gives it a view of the outdoors. Before the homeowners leave for work, they close the blackout curtains to keep the house from overheating. 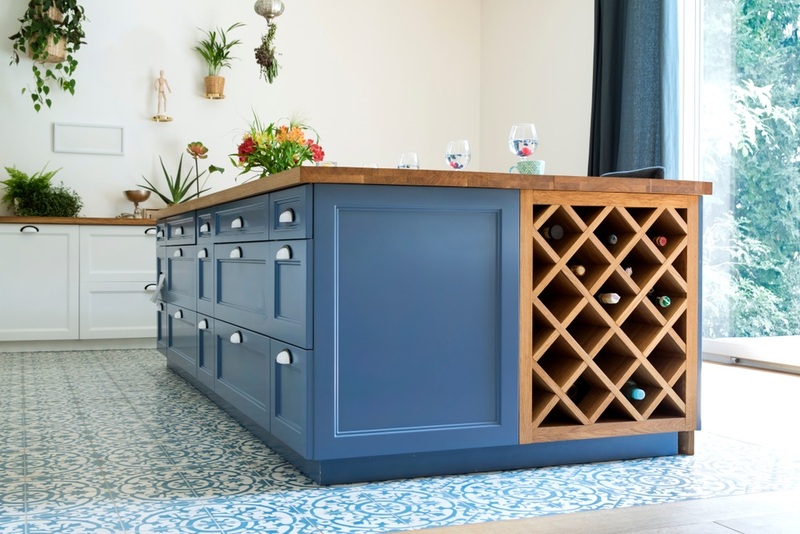 Encaustic cement tiles are flexible materials to use. These are applicable to kitchen walls, floors, and splashbacks. Plus, the tiles possess a stunning Mediterranean pattern. Like the curls and swirls, the splashback tiles continue down to the floors and the kitchen turned out amazing! The homeowners use the area in front of the window to exercise and do yoga. To separate the workout zone from the kitchen, designers laid two different flooring materials. They used engineered wood flooring for it can withstand the changes in temperature, humidity and moisture in the kitchen. It’s more durable than solid hardwood floors too. A Mediterranean kitchen is rich in natural, earthy materials. Adding more timber in the design establishes that. 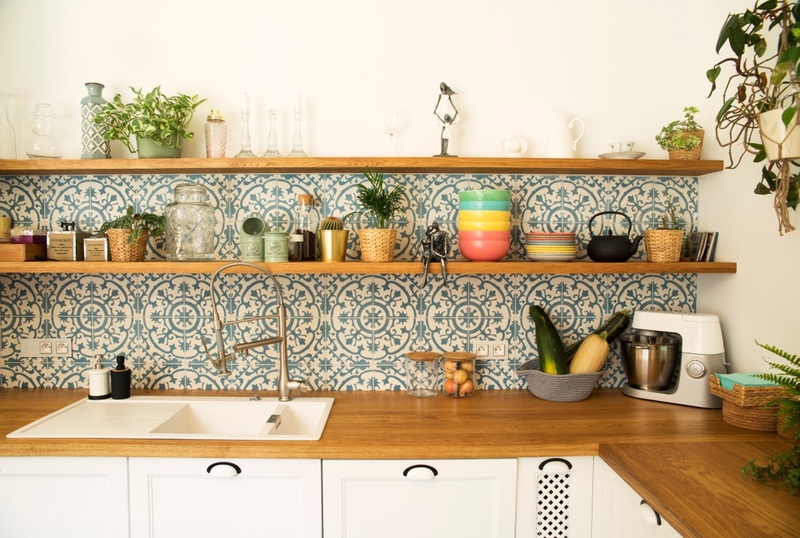 Butcher blocks are versatile and they look very organic. In this kitchen, the designer used durable hardwood to top the counters and kitchen island. For coherence, the tone of the butcher block and the engineered wood flooring are close to each other. Light timber is warm but not too rustic. 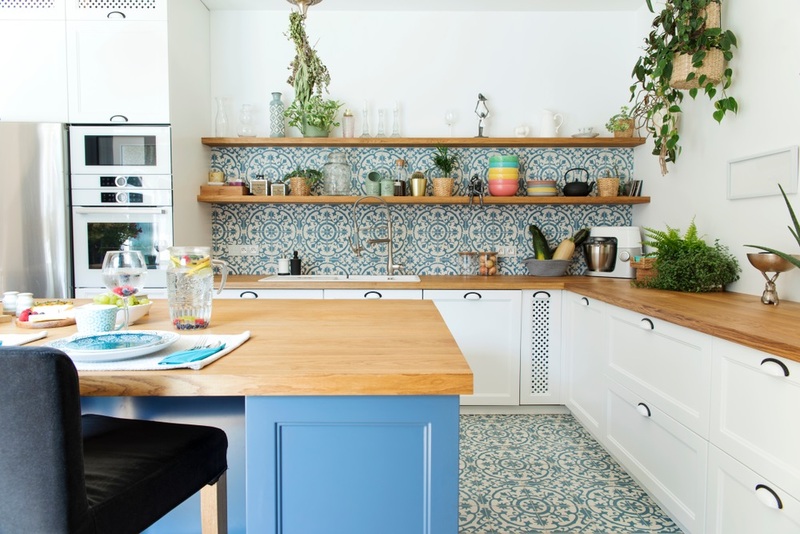 Apart from the sea, a Mediterranean kitchen isn’t complete without bright flowers and foliage. In this kitchen, the homeowners grow their herbs in a pot, hang aerial plants, and placed handpicked garden flowers on a vase as a display. What do you think about this Mediterranean kitchen? Use the comment section below to send us your thoughts! Recreate this look with a Melbourne architect.